A difference of 50 cc between the two contenders, still they fall under same category – that is of street nakeds under quarter liter. Let’s see their differences and similarities. The Duke 200 has been around in India for quite some time now and is a familiar face for entry level performance bikers. The design is quite sharp and chiseled. In fact it’s difficult to find a curve except on the mudguards, which even have some rough edges. The TNT25 is sharp looking too. The tank of the duke looks massive along with the tank scoops. The TNT25’s tank also looks big (& volumetrically bigger than the KTM’s). Both bikes sport an exposed trellis frame, but the TNT25 also has some strange plastic cladding near its tank which starts from tank and ends near the underbelly. Both bikes come fitted with UpSideDownforks; the Duke’s being somewhat thicker and stiffer than the TNT25’s. 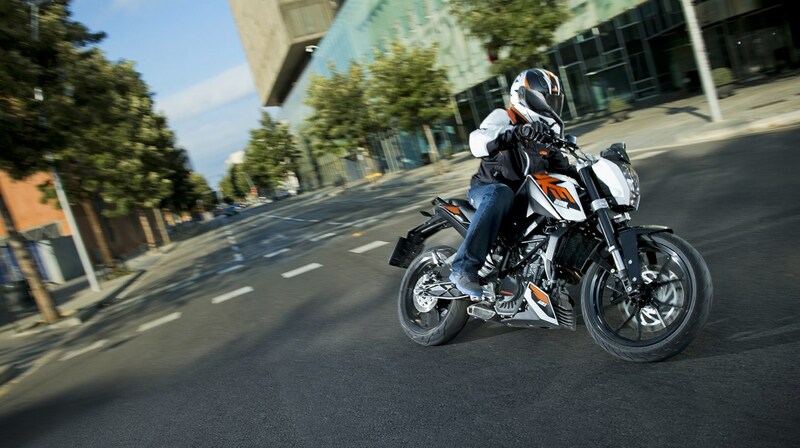 The KTM has a smaller and firm pillion seat whereas the TNT’s pillion will enjoy a better ride, thanks to the broad and somewhat longer pillion seat. The Duke has an underbelly exhaust whereas the TNT25 comes with a side-exhaust CAN giving it a sportier look. Both bikes feature disc brakes without ABS, the Duke having a slightly bigger in size at the front. Both the bikes come with upright riding position, thanks to the raised handlebar. The electrical switches on both bikes are ergonomically designed and are good to use, however, the quality of the Italian is better than the KTM. The TNT25 also sports hazard indicator switch! The speedometer of the Duke 200 is fully digital and offers a whole lot of information, but is difficult to read in broad daylight. The TNT25 has ana-digi speedo which is old school, but readable at any point of time and also features gear indicator. The tail lamp on both the bikes features LEDs, however, the TNT25’s tail lamp looks unique as it is. KTM Duke 200: 1.59 lakhs Rs. Benelli TNT25: 1.75 lakhs Rs. 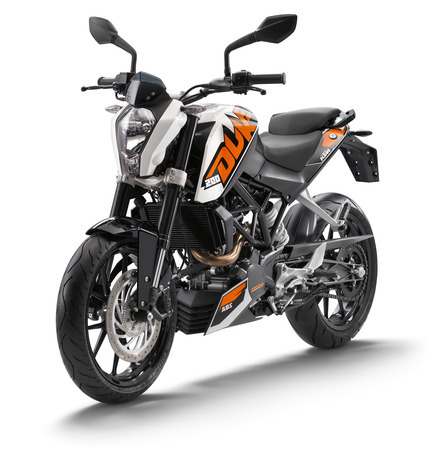 Overall, the Benelli looks sportier with some fresh sticker jobs on it whereas the Duke sticks to its orange theme but with the minimalist design takes the edge of being less in weight and delivering a ground breaking power to weight ratio. In-spite of having a smaller engine and lesser power, the acceleration on the Duke is better than the Benelli, giving it a 0-60 in under 4 secs and 0-100 under 9 secs! The TNT25 struggles to live to these figures but keeps up the pace till 135kmph after which it overtakes the Duke and attains a top speed of 148 kmph. The TNT has more torque at 21.61 Nm at 8000 rpm than the Duke’s 19.2 Nm at the same revs. The Duke just shoots from the word Go. The engine is frantic and you might be able to pop wheelies at times! The 136 kg kerb weight helps the Duke sprint ahead easily and the engine is quite high-revving one. 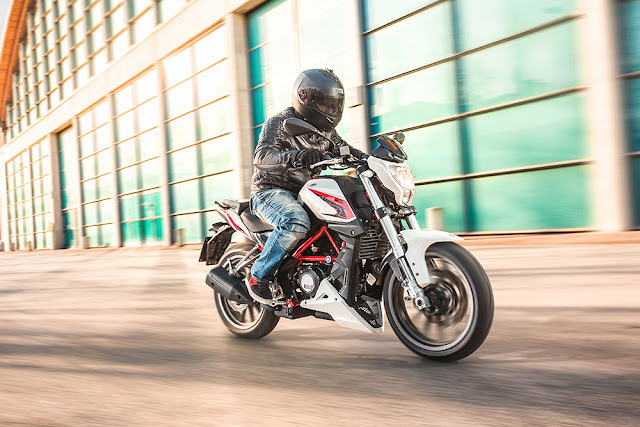 On the other hand, the Benelli is somewhat reserved in its power delivery but is smoother in terms of engine noise and overall refinement levels are better than the KTM. The acceleration won’t seem ground breaking, but is quite determined and in fact delivers a better top speed, thanks to the lower teeth rear sprocket. KTM has more than 250 touch point for the customers to reach out and get their bikes up-to date, KTM parts are available easily thanks to Bajaj’s vendor development team who has done a great job of localization. On reliability side the KTM engines are tested to the extremes for hours and hours without stopping at wide open throttles. On the other hand the Benelli is comparatively new in India and has a very few number of dealers across India, Dealers are mostly located in metro and tier 2 cities only. This will lead lot of problem to the enthusiast buyers staying in towns and outside major cities. Benelli manufactures all the parts in China, hence we still need to learn about the reliability part of the bike. Duke 200 – 74,000 Rs. The Duke 200 is bound to hold slightly better residual value than the TNT25 due to it radical behavior and youth loving performance. Duke 200 – 65,000 Rs. Overall, the Duke 200 works out to be slightly cheaper than the TNT25 in terms of Total Cost of Ownership. Duke 200 – 1.68 Lakhs Rs. TNT25 – 2.09 Lakhs Rs. 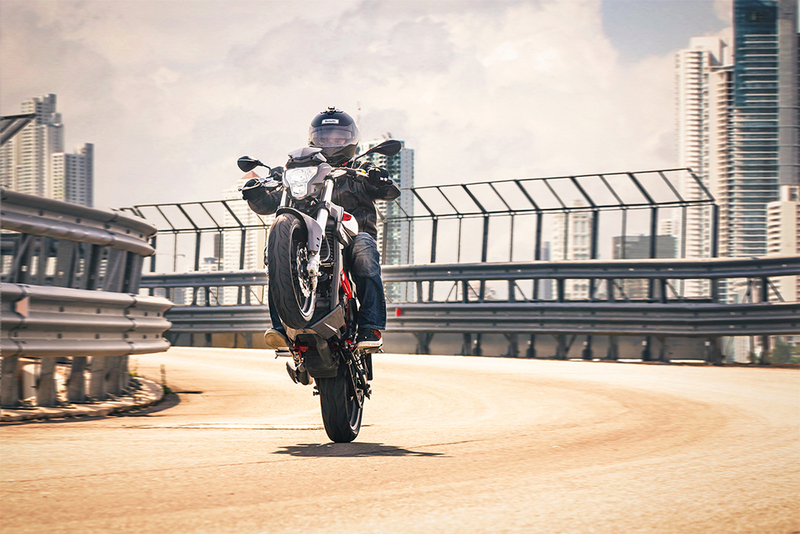 The Duke easily wins the race here as it’s more agile, tractable and a fast enthusiast’s delight. The raised wide handlebar and upright position gives the rider the ability to easily maneuver in the city and also in the corners on a track, or even in the hilly areas. The disc brakes are sharp, progressive and the only thing missing is the ABS(which is present in its elder sibling – the Duke 390). However, the hard seat and stiff suspension, both at front and rear, don’t allow the rider to go on a long ride. The TNT is not too far behind in handling with excellent suspension settings and a plusher ride as compared to the Duke. The bike is flickable, inspite of being 23kgs heavier than the Duke 200. However, the handlebar is lowered at the ends giving it more user- friendly stance. The front disc on the TNT is smaller in diameter (280mm petal) than the Dukes (300mm), but the rear is 10mm more than the Dukes 230mm. Even the Dukes brakes are quite sharp and provide adequate feel and bite. The Benellis could shed some kilos from its bodywork and some unwanted panels. Both the bikes come with MRF Zappers, though Michellins would have upped the ante’. The25’s handlebar is somewhat lowered and eases the rider to take sharp turns. The TNT has bigger seat and the pillion sits comfortably along with the rider, there is ample space for the pillion.Both bikes, as of now, don’t come with ABS as standard and not even as option. The Benelli TNT 25 is a fresh looking bike from the discussion above. The Duke though has been first to the party, is now looking somewhat dated. KTM might launch the new Duke 200 with ABS in 2017. The seat of 25 is more comfortable than the Duke 200 and aids in long distance travelling. The engine also radiates less heat than the Duke 200. 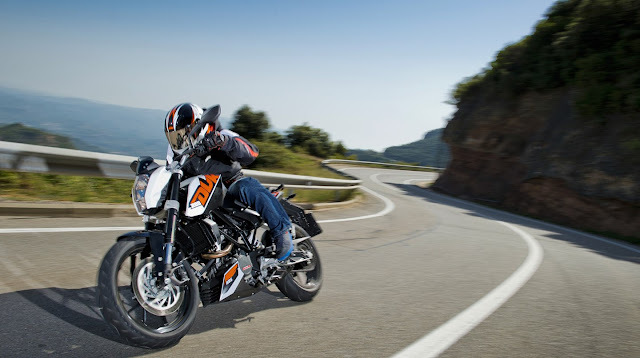 If you want pure performance, then there is no mad machine other than the KTM. However, if you are trying to look unique and have the Italian taste, and want to reach in comfort, then the Benelli suits your bill for around 40,000 INR more over span of 4 years of usage!